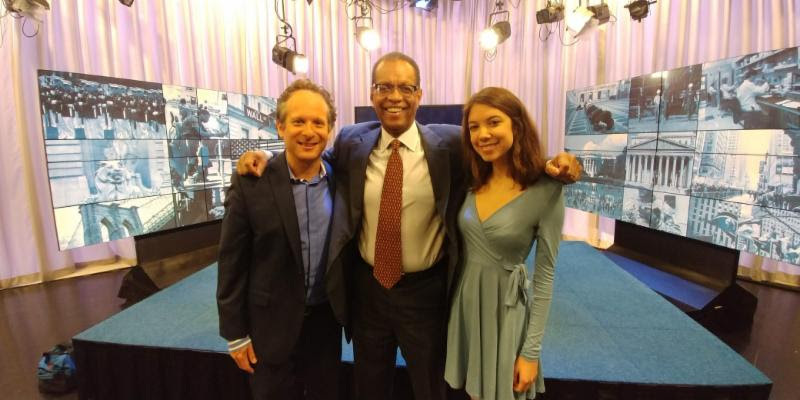 The interview was held by veteran New York Times Columnist and jazz fan, Bob Herbert, JPI’s Managing and Artistic Director, Eli Yamin, and former JPI student, Angie Pastor. In NYC, it can be tuned in on the following dates and times: Wednesday, June 20 at 11:30pm; Saturday, June 23 at 3pm; and Sunday, June 24 at 9:30am. CUNY TV is cablecast in New York City on Ch. 75 (Spectrum and Cablevision), Ch. 77 (RCN), and Ch. 30 (Verizon). CUNY TV is also digitally broadcast on Channel 25.3, reaching the New York metropolitan area.